It is also called the Festival of Lights (Ton Foton). In Western culture the epiphany is on that day. 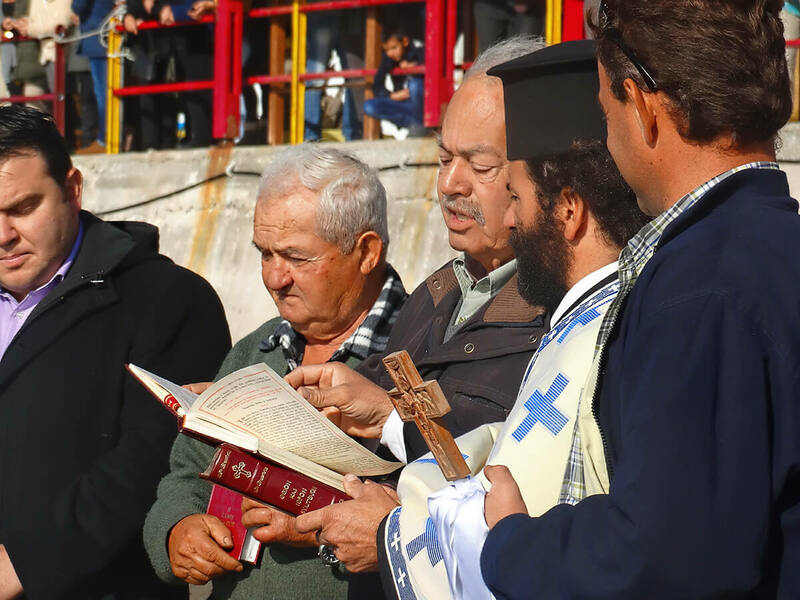 On the eve of January the 5th the priest goes through the village and blesses the houses of the residents with holy water. This is called the small blessing where one believes that any kind of bad energy (read: evil spirits) are sold. 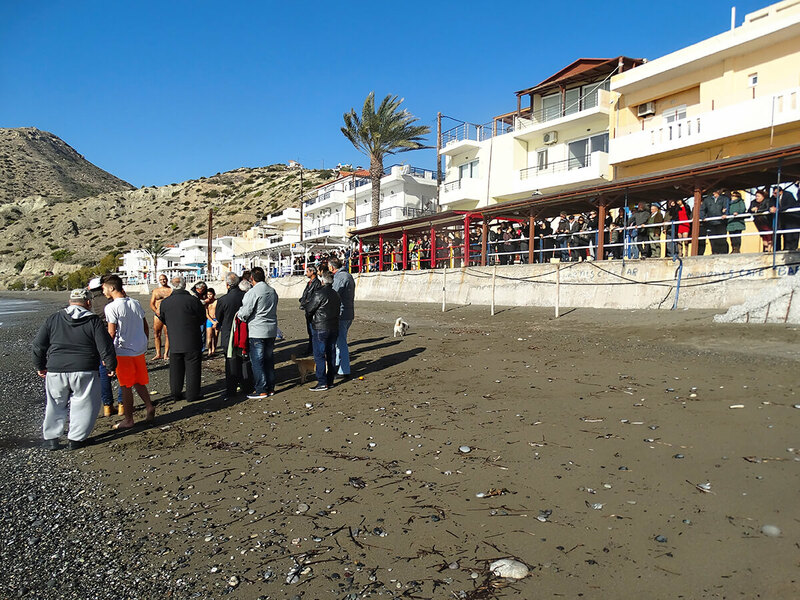 On the day of the great blessing, after the service, the congregation goes to the water in a solemn procession, be it at the beach, on a riverbank or lakeshore, it can also be a cistern. 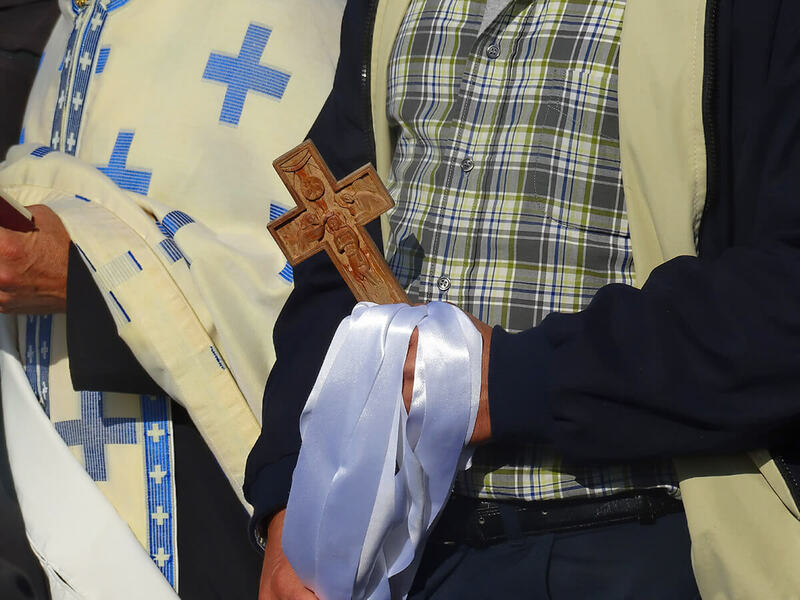 The priest throws a cross into the water and blesses it this way. The so-called divers are waiting for this moment and jump into the often icy waters to find the cross. The finder will be rewarded with many wishes and good luck for the new year. 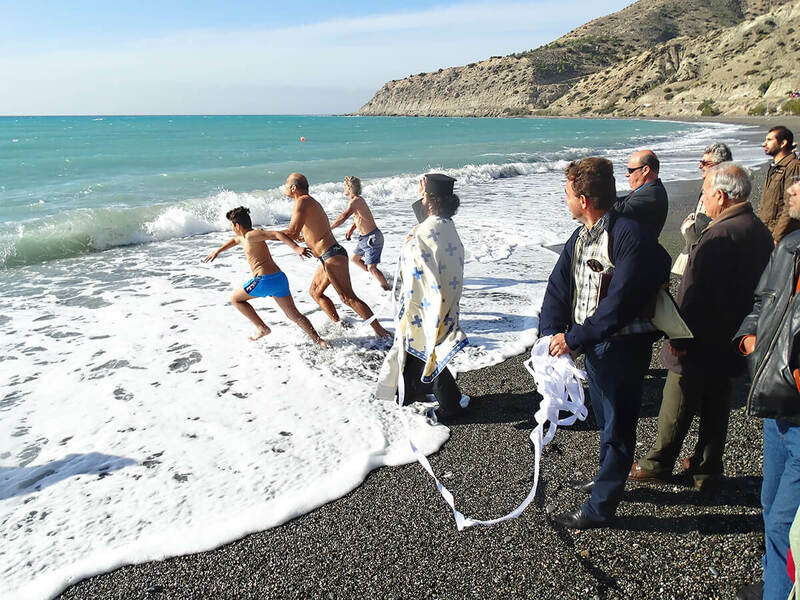 Yesterday on Mirtos Beach, the Cross was saved by Tassos Fytopoulos. Kalí Chroniá Tasso!